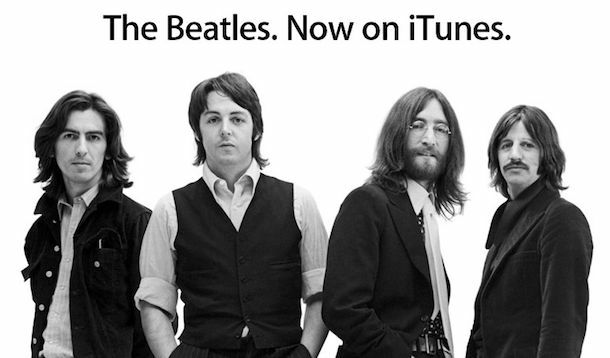 Apple’s big iTunes announcement today was The Beatles joining the iTunes family, this was one of the predictions offered yesterday, later to be solidified by the Wall Street Journal and New York Times. Apple has crafted a heavy promotional campaign for the announcement, including a Beatles-centric section of the Apple website. Reaction around the web has been a mixture of excitement and boredom, it looks like the majority of people let down by the announcement were hoping for iOS 4.2 to be released instead. Todays announcement did trigger a price war of sorts, as Amazon responded by cutting the price of The Beatles Stereo Box Set 50% to $129.99 , which gives you physical CD’s rather than digital content. I imagine a lot of these commercials will be airing on TV over the next few weeks to further promote The Beatles & Apple partnership. Count me in that “bored” category. Give me iPad 4.2, then I’ll get excited. I couldn’t care less, how is this day one to never forget? Bah! Fix iOS 4 for my iPhone 3G rather! Who cares bout Beatles compared to iOS4.2. I don’t know what is Steve thinking…. Is this really that big a deal? I don’t get it. It is November where is iPhone OS 4.2!!! Beatles Smeatles!! Wow, most anti-climatic announcement ever. Any huge Beatles fan would have already gotten their albums into iTunes another way. And I would have to smoke crack before I would pay $150 for a digital box set. I really dont’t get it – who cares about the Beatles?? Is is really so exciting to have their songs on iTunes?? Where is iOS 4.2 update?? Don’t blame Apple here. Apple had to make this a big deal in order to get Yoko Ono and Paul McCartney to sign off on the agreement to sell through iTunes. The irony is if The Beatles music had been on iTunes from the get-go, they would have already sold millions of songs through the store. I think at this point if you wanted The Beatles collection, you probably already have it. They’re a bit late to jump on the bandwagon, but Apple complied with their promotional requirements nonetheless, and I’m sure it will be a successful partnership.